The 400+ horses sitting under the Camaro SS hood not enough for you? 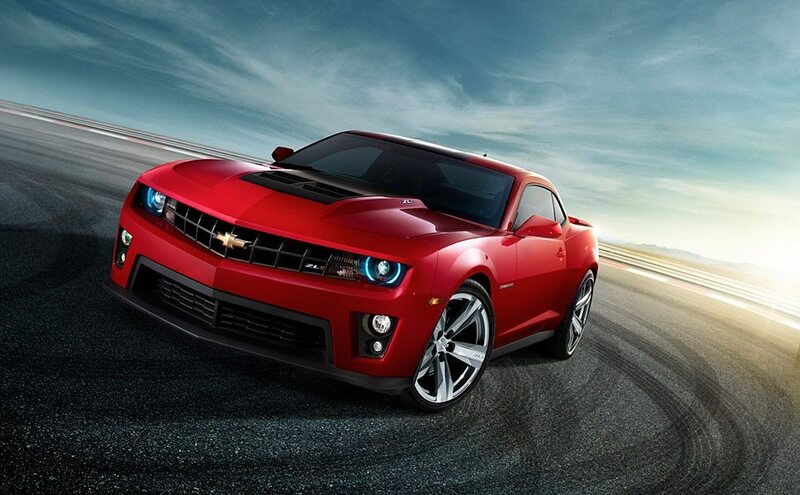 Say hello to the 2012 Chevrolet Camaro ZL1 ($TBA). The tippy-top-of-the-line Camaro will be powered by a 6.2L supercharged engine putting out 550hp paired to a six-speed manual with a dual-disc clutch system. Techy features like Magnetic Ride Control with Tour and Sport modes, a dual-mode exhaust system which alters the sound level and character in response to engine RPM, Brembo brakes, HID headlamps, a vented carbon fiber hood insert, and a specialized spoiler all keep things up to date.